A general recipe for plant extracts is 100 to 3,600 grams of plant parts (leaves) cooked for 20 minutes in 1 liter of water, let it soak a day, sieve and add some mild soap. Dilute for use 1:4.
field horsetail (horsetail, Equisetum avensis) - against fungi. Extract of tobacco leaf contains nicotine. 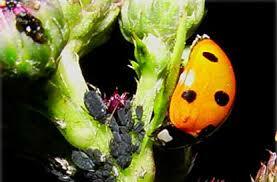 It is active (toxic) against aphids, thrips, caterpillars and larvae. By (leaf) lice: infusion, decoction or tea of wormwood or tansy, or male fern (Dryopteris filixmas) or bracken (Pteridium acquilium), or tobacco.